Simply Aquaponics is a combination of aquaculture with fish and other animals. Which allow us to reuse the assets like water, fish feed and other disposable elements generated or introduced in a farming environment. There are a lot of advantages like reusing assets and disadvantages of this method such as Multiple points of failure and unsecured success. Let’s learn about Aquaponics description & how it works in the next topics. Aquaponics definition: Aquaponics is a relevant form of culture for the production of culture and fish in a symbiotic relationship. This is the easiest explanation for it. Now, the term aquaponics appears from the combination of two other terms. The first is aquaculture, which is the breeding of aquatic animals. The second is hydroponics, which is the cultivation of plants in water. From the conjunction of both technologies derives the aquaponics. From the description of aquaponics, we know that, It aims to the combined and sustainable production of plants and animals. 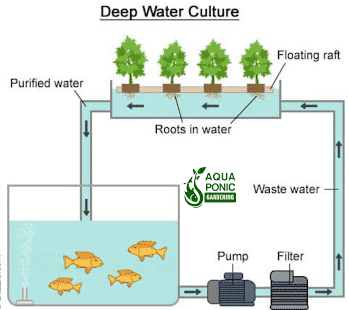 The basic idea behind aquaponics can explain in a simple way. Fish waste serves as fertilizer for plants. Otherwise, the toxicity of the water would impede the development of aquatic animals. Due to the fact, it is a closed system. Let’s understand the picture below! Example: Imagine a home aquaponics, which is a closed system. There are fishes in the lower components. On the top, there is a garden. In the garden, there will be some plants as well as bacteria. As we know where there is a leaving thing there will be bacteria. Both two different kinds supply food to each other. Fish eat food, which you provide and produce waste. A water pump carries water with fish feed waste to the garden. In the garden, bacteria living on the hydroton pebbles. They convert that waste (ammonia+nitrites) to fertilizer (nitrates). The plants feed on nitrates & purify the water. Clean water siphons back to fishes. In order to practice, it does not require to install a garden on top of the fish container. We describe that in that ways that you can understand the basis of this process. That is the water is recycled time to time. Wastewater of fish container is purified in the garden. Plant in the garden takes the fish feed waste as fertilizer after they become manipulated by helpful bacteria. So if you can ensure the water flow between garden-fish container it becomes an aquaponics. Aquaponics system produces 2-6 times because it allows us to use multiple platforms on top of each other. No matter where and what condition you are it you can cultivate different crops in same area. In aquaponic systems, water is a well-used resource. It is the means of life of the fish and the roots of the plants. That is water used twice better yet. The nitrified water from the fish waste the plants cleaned to a certain extent. In this way, the soil does not salinize in case of having to empty it. Fish waste is a nutrient-rich fertilizer for plants. In this way, it is possible to reduce considerably the expense of fertilizer salts. Better still, some of the certifications to organic products can overcome. If an adequate management of the aquaponic system is carried out. You probably know from aquaponics description that it can use the same land for production agriculture and fishes. That means it can provide the highest yield on your land. In many places, the quality of the soil is poor. That prevents the harvesting of good quality products. 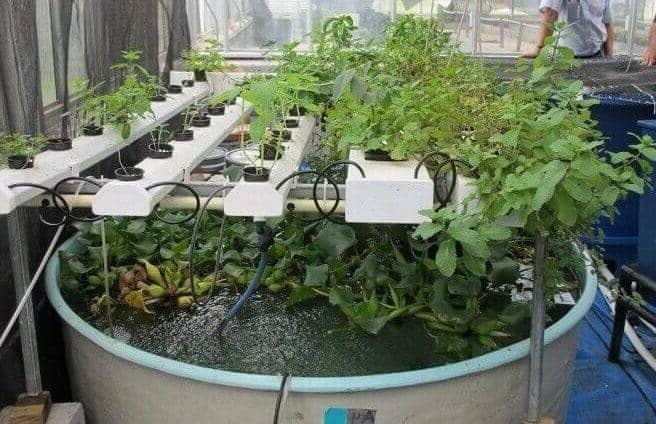 Aquaponics represents an interesting alternative for areas. That is with soil problems and for desert areas. It is also a system could be of great interest to cultivate in cities. The somewhere arable land is practically non-existent. Aquaponics uses 90% less water than conventional agriculture. Being a closed system it does not waste river water due to use of harmful fertilizer. This is more environment-friendly then organic farming. Because it does not allow us to practice any harmful farming. An aquaponic system can be installed almost anywhere. It is including food distribution centers and markets. In this way, it would be possible to reduce expenses for transport concepts. It would have fresher and better quality products. It could be without avoiding post-harvest damage during transport. We know that no productive system has a perfect success rate. In the case of aquaponics, the percentage is quite small. The point is that many systems are largely standardized. 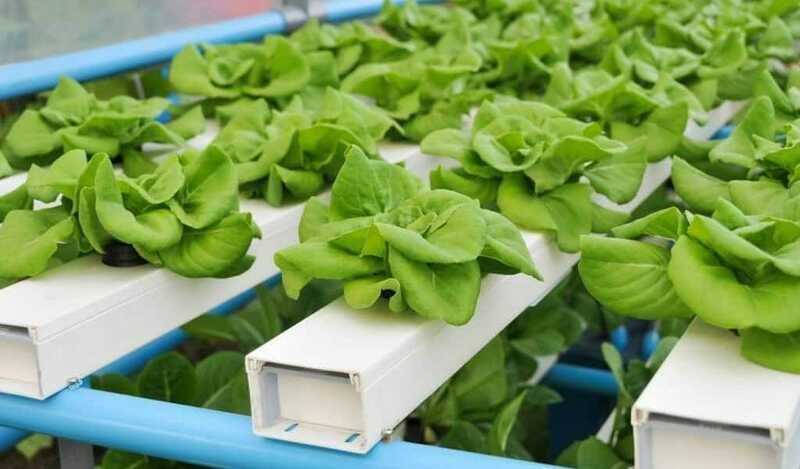 On hydroponics, for example, there is much information about it. With aquaponics is not the same, much research and standardization are lacking. Aquaponics is relatively more complex than other production systems. Due to the fact, you have to be aware of both plants and animals. This implies that the points where the system can fail are more. On the one hand, the fish can die if they do not have the right conditions. On the other hands, the plants are susceptible to pathogens. The cost of food for the fish can make the system economically unsustainable. It is important to ensure the supply of such food at an appropriate price. At a certain moment, once the system is installed. It could become the most expensive factor in the entire system. Special attention has to pay. Starting an aquaponics project has a relatively higher initial cost than other production methods, such as home gardens. However, it is not possible to give a real figure. It will depend on the size of the system and its technological level. Consider that pumps and plumbing items are required.